Home›Lifestyle›Are Co-Working Spaces Bad for Business? Co-working spaces have become incredibly popular now that technology has allowed us to work remotely and be just as productive. These spaces have sprouted as an answer to the question, “If I don’t have to work in a traditional office, then where should I work?” Although many people choose to work in private or home offices, co-working spaces are the answer for many remote workers who want an office-like feel in an untraditional setting. The question remains, though: are co-working spaces effective work environments or do they make us less productive? Some people don’t like being alone in their home office. Co-working spaces are ideal when you want to collaborate and be with others. They are a great way to scale up as you grow and add team members. The main point is that these types of work spaces aren’t for everyone so before you decide to choose one as your working environment, you should analyze the pros and cons. To help you out, here are the advantages and disadvantages of co-working spaces. They allow you to be part of a community. Home offices can make you feel isolated from the world around you. On the other hand, co-working spaces allow you to be part of a group and to form connections. These spaces are affordable. If you’re just getting started, you likely can’t afford to rent an expensive corporate office. Co-working spaces are cheap and don’t require a long-term commitment. They can help you find clients and team members. They are usually filled with a diverse group of talented people. As you form connections and network with the group, you might find your next employee or your next big client. Statistics show these spaces have many benefits. Once again, they aren’t for everyone, but statistics show that 92 percent are satisfied with their co-working space, 90 percent say they feel more confident when working, and 70 percent even reported feeling healthier than working in a traditional office setting. #Bizowners, are #coworkingspaces good or bad for your #business? Find out more here. There are hidden costs of co-working spaces. Compared to using your home office, if you choose a co-working space you have to add in the costs of commuting, child and pet care, food and drink, and storage rental. These work spaces are full of distractions. With so many people around you, it can be easy to become distracted by the movements and noises of your fellow co-workers. It can also be hard to resist the urge to socialize. These things contribute to lost productivity. Conflicts may arise in co-working spaces. You don’t get to pick who you work with in co-working spaces. People will come and go, there will be constant change, and you just may find yourself working alongside someone you don’t get along with. In a co-working environment, you may be surrounded by competition. 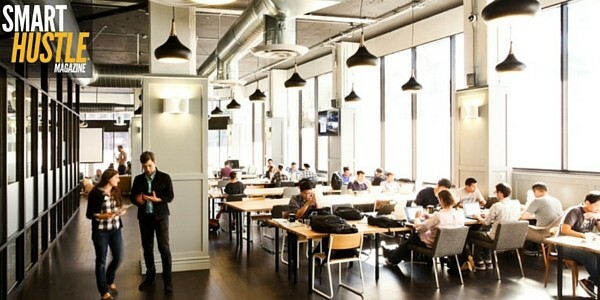 Many co-working spaces are industry specific; for example, the workspace may be specifically for technology workers, for writers or for small businesses. Knowing you are directly competing with others in the room can be uncomfortable and can create the fore-mentioned conflicts. In the end, whether co-working spaces are good or bad for business depends on how you (and your team members) can perform in this unique environment. Evaluate the advantages and disadvantages above to decide if a co-working space is right for you.